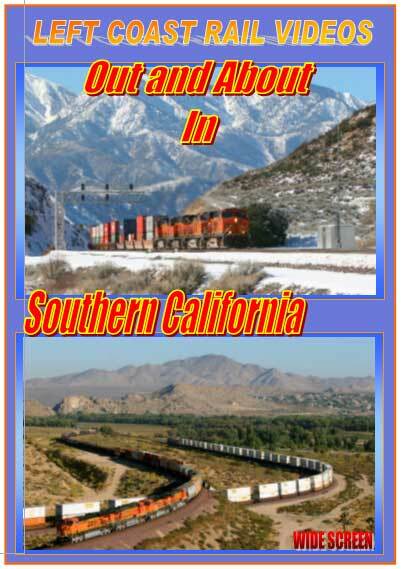 The video taken for this DVD title was taken from several railfan outings between April 2010 and October 2011. You will see UP, BNSF, Pacific Surfliner, Coaster and Metrolink action along the San Diego Subdivision, the Yuma Subdivision at Colton, Cajon Subdivision at Sullivan's Curve, North Canyon, Hill 582, the Summit and the Frost Flyover. Footage shot with the use of our �Multi-Cam� format using 1-3 camcorders. This is a non-narrative DVD. A sit back and turn up the volume DVD.